Wayne Quilliam is described as one of Australia’s pre-eminent Indigenous photographic artists, curators and cultural advisors working on the international scene. But to be a little more specific, he has won a Walkley Award, been named a NAIDOC Artist of the Year and has also won the Human Rights Media Award for his exhibition, The Apology. 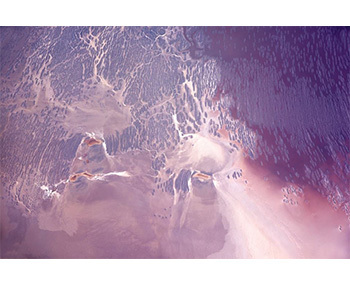 And he has also been nominated as a Master of Photography by National Geographic. 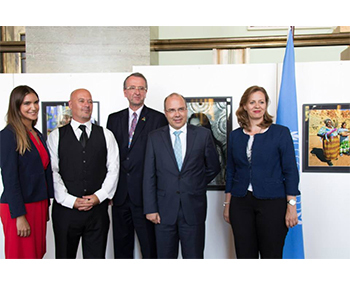 Just recently he returned from Geneva where his solo exhibition, Her Image, Her Voice, Her Story, was launched at the new United Nations building. 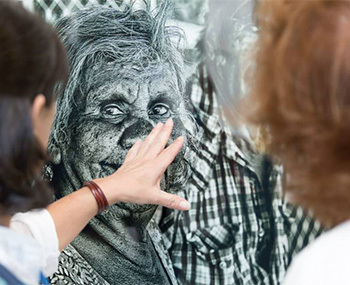 This exhibition, which showcased the real-life achievements, experiences and challenges faced by Australian Indigenous women, was interactive so audiences were able to view the beautiful images and connect to interviews to hear the personal stories of those women – told in their own words. Closer to home, Wayne Quilliam's photographic work was recently featured at Federation Square; in the Atrium it appeared in the form of 3 metre high banners, celebrating the role of Indigenous people in the public sector, there was also an exhibition of his works on the same theme. And his photographs also formed part of the Gertrude St Projection Festival, and were projected onto a city building elsewhere in Melbourne too. But if you haven't had the chance to see his works in person as yet, head along to Kingston Arts in Melbourne where his photographs on the 2015 NAIDOC theme, We all Stand on Sacred Ground: Learn, Respect and Celebrate, are still on show. Hurry though, this exhibition closes soon, on Tuesday, 4 August. The Kingston Arts Centre is located at 979-985 Nepean Hwy, Moorabbin.